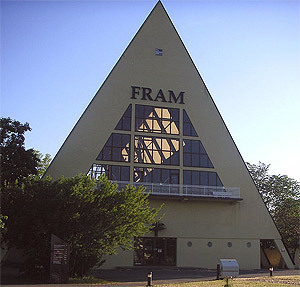 Before the Titanic, the Fram was the most famous ship in the world. It was the quintessential polar research vessel and was one of only a few ships that was built for polar exploration (only the second when built). Most of the other historical Antarctic ships of the Heroic Age had originally had some other purpose, usually as a whaler or sealer. "I arrived at the result that the strength must be several times that necessary to withstand the pressure required to lift her." Keel- made from two pieces of American elm fourteen inches square. Frames- Italian oak, grown to shape (the grain in the perfect alignment for maximum strength) and obtained by Archer from the Norwegian navy where they had been seasoning for nearly 30 years. Finished frames were 20 inches wide. Stem and stern- Four feet of juniper-doweled oak. Inner hull- the frames on the inside were covered with four inch thick pitch pine fitted about 450 white pine knees. Knees are taken from the point where a trees trunk sends out major roots, a naturally very strong right angle. Iron straps were finally wrapped around the hull at the bow and stern before painting. Rudder and Propeller- these could be lifted into two wells inside the hull for protection from the ice. The propeller was two bladed and designed to stop vertically so that it was protected by the rudder post. Losing a propeller bade was a common mishap in when working in ice. 10th January 1895, drift ice threatens the Fram, it was these conditions in mind that she was designed, note the animal pelts hanging from ropes. Nansen instructed Archer to insulate the ships living quarters with layers of insulation using - wood, felt, linoleum, and reindeer hair. The skylight to the saloon was triple glazed and the passage from the deck down to the saloon passed through three doors. Each door had a 12 inch sill to prevent the flow of cold air and drifting snow when opened. At no point did the Fram's interior have any condensation, not even the cabins with an exterior wall. The Fram arrived home in Norway in 1914 and was left for some time as the First World War took over in people's minds. By 1916 a committee had been established and began to work for the repair and preservation of the ship. Otto Sverdrup was particularly active in this and by 1935 the "Fram Museum" was been opened where the ship is still preserved today. A young Norwegian zoologist and explorer Fridtjof Nansen had read an article in a Christiana (now Oslo) newspaper about some items washing up at the south western tip of Greenland. They were from the Jeanette a ship that had been wrecked in 1879, crushed by sea-ice while attempting to find the North West Passage. The Jeanette itself had drifted 600 miles trapped in the ice for seventeen months before sinking near Siberia. The path of the ship and also of the flotsam indicated to Nansen that there was a formerly unknown transpolar current at work. Other evidence such as Siberian driftwood in treeless Iceland and Greenland and the distribution of ice of various thicknesses and ages supported Nansen's theory. After much thought and discussion in particular with Otto Sverdrup, Nansen began to have faith in the idea and conceived a simple and unorthodox plan. He would commit a ship purposely into the Siberian ice and let the transpolar current that he had so much evidence for carry her across the North Pole. As well as great patience and fortitude from the crew, the plan required a unique ship, the like of which had not yet been built. Nansen's plan was greeted enthusiastically by the Christiana Geographical Society in 1890 and a 200,000 Crown subsidy from Parliament soon led to a total of nearly 500,000 Crowns being raised, including a 20,000 personal contribution from King Oscar of Norway. Nansen gave the contract to build his unique ship to Colin Archer, a gifted Norwegian naval architect of Scottish ancestry. The main difference between Nansen's ship and those that had gone before was that rather than try to resist the ice pressing in from the sides powered by wind and currents, the Fram, ("forward" in Norwegian) would instead rise above the ice by virtue of a rounded hull. It would evade the grasp of the ice "the way a cherry pip squeezed between thumb and forefinger pops into the air". But Archer took no chances, as well as being as Nansen specified "round and slippery as an eel "the Fram would also be prodigiously strong. 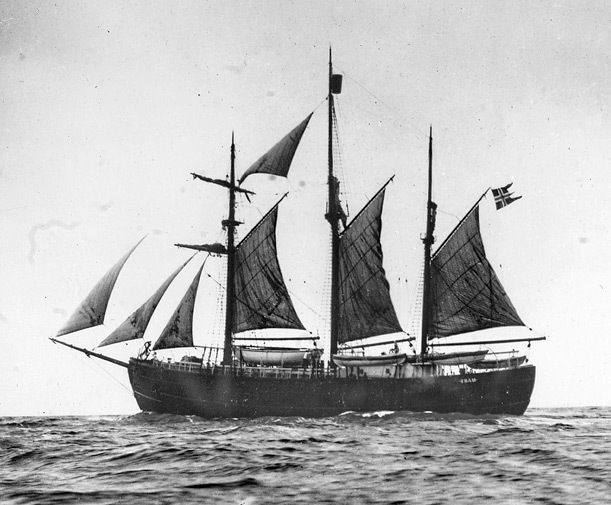 The Fram was launched on the 26th of October 1892 named by Eva Nansen, Fidtjof Nansen's wife. She cried out "Fram skal du Hede" (She shall be called Fram ). A huge red pennant bearing the name in white letters was run up the central flagstaff (the masts had not yet been fitted), this was the first public announcement of the name. Like so many other polar expeditions led by an explorer of proven ability, Nansen was faced with a choice of hundreds of applicants from all over the world for the ten places available- there were to be twelve on board altogether including Nansen and Otto Sverdrup. One of his favourite applications (rejected) was from a French lady "tired of life" who offered her "services" (unstipulated) before she entered a convent. The Fram sailed for the Arctic on June 24th 1893, a plain ship in shape, but brightly painted with grey hull, green gunwales and red petroleum tanks on Nansen's orders to provide some respite from the gloom of the Arctic night. She carried provisions for six years, all available cargo spaces were filled, even the gaps between barrels were filled with firewood. A careful manifest of the whole cargo was taken so that any item could be found when required. Once away from initial farewells they headed out into the North Sea straight into a storm. The Fram behaved as predicted in such conditions - awfully. The smooth shallow hull with no projections meant that like ice-ships ever since, open water travel in rough conditions could become an ordeal. On July the 12th the Fram reached Tromso and took on winter clothing and supplies, finally the ship left Norway on the 20th of July from Vardo. By now the crew had been through an endless round of honorary dinners, speeches and what Nansen had come to feel was far too premature lionization before they had even set off properly. One final stop was made in Khabarova, Siberia to bring on board 34 sledge dogs. They had also intended to replenish coal supplies, but as time was running out they chose instead to press on and avoid becoming iced in in entirely the wrong region of the Arctic Ocean. The Fram entered the pack on September the 25th 1893, heading along an ice free current flowing from the Lena river. 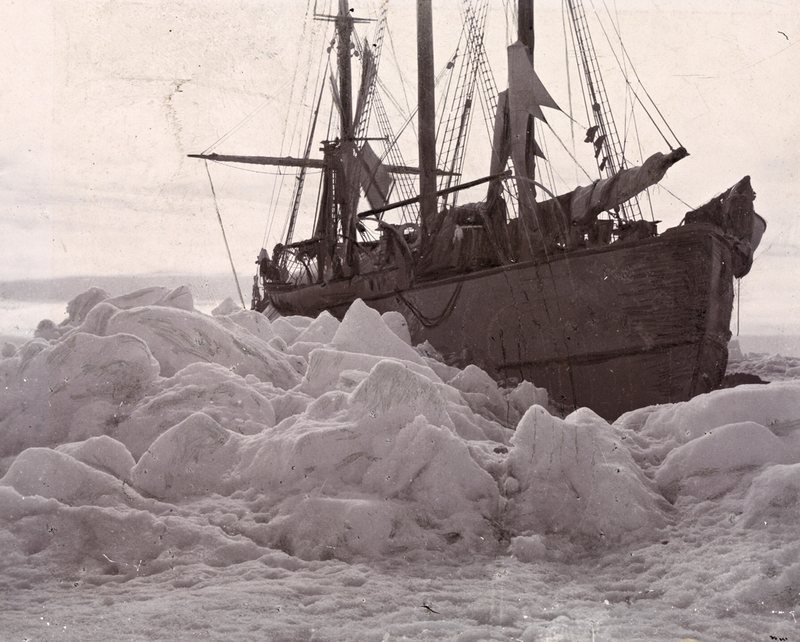 In a few days she had been trapped by the pack ice, the first ship ever to seek to do such a thing rather than avoid it. The rudder was withdrawn and the engine entirely dismantled and stored away, the engineer Amundsen establishing his machine shop in its place. A carpenters shop was set up in the hold and a blacksmith's forge set up on deck. A giant windmill was set up to provide electricity now that the engine was dismantled. It had canvas sails twelve feet in diameter and lit the saloon up admirably, though it could be temperamental especially in strong winds. The Fram was now an Arctic station rather than a ship at all. Every man on board found his time fully occupied. Meteorological and magnetic gauges and instruments were set up on the ice. Measurements and figures on the sea temperature, depth, salinity etc. were taken and carefully recorded, Nansen's own task (among others) was to analyze the various forms of the Aurora Borealis. 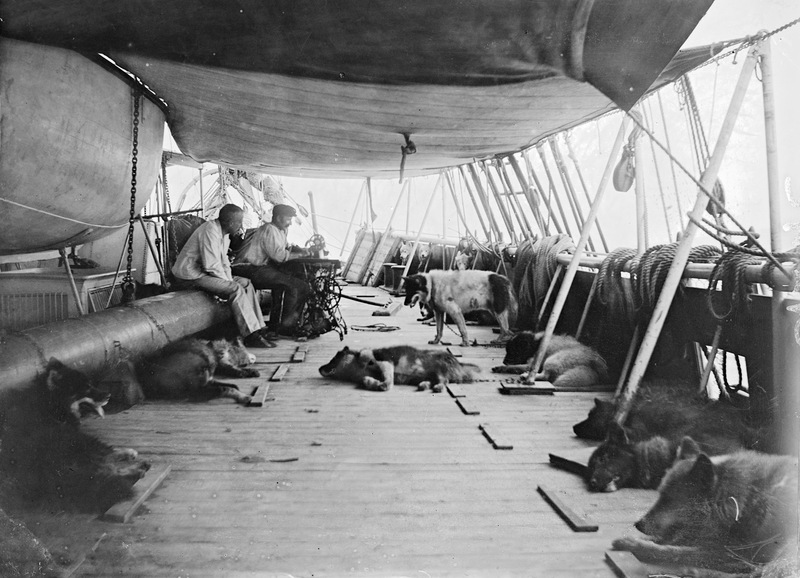 The dogs were moved out of the ship and onto the ice where they had much more space, though were brought back again after they fought viciously, one being killed another two were carried off and eaten by a polar bear. October brought darkness with the sun appearing only as a red line on the southern horizon, it also brought the first test of the hull of the Fram. On Friday the 13th she survived a series of pressure waves the like of which had destroyed many ships before her, instead they passed harmlessly. The crew passed the time in the comfort of the saloon secure in the knowledge that they would not be harmed. The same was not true out on the ice however as kennels became buried and an ice anchor was so buried that the cable had to be cut. Now that physical security was achieved, food was plentiful to the point where the men were putting on weight and scurvy was banished, the biggest threat came from boredom. The current that Nansen predicted certainly did exist but it was not a continuous current, wind and tide conspired to take the ship northwards, then back south again for a while. Only a month into the entrapment in the ice Nansen wrote in his diary "How the days drag past!". But the time did pass and the crew were kept in generally good spirits through the long Arctic night. They passed the eightieth parallel on February the 2nd 1894, by the 20th, the sun returned. As winter gave way to spring and the surface of the ice began to melt and turn wet, on the 28th of May Nansen wrote "Ugh, I am tired of these endless white plains!" 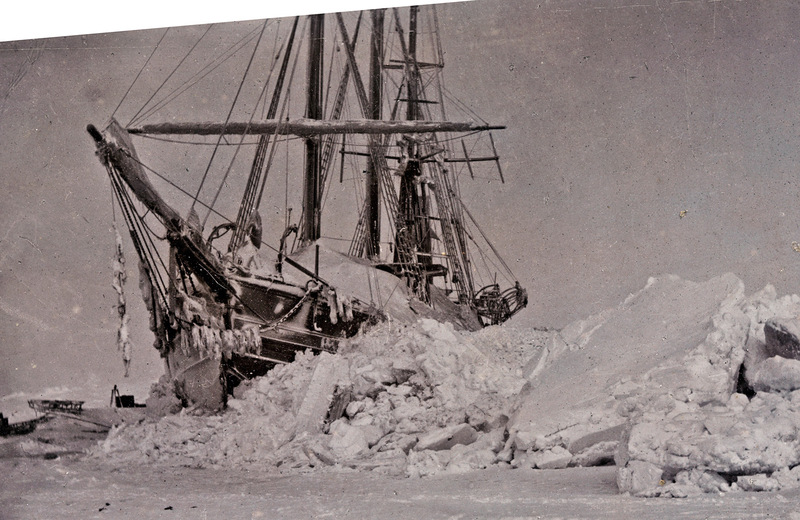 Travel from the ship became more difficult and dangerous over the rotting ice and kayaks were built and launched. By the one year point, the Fram was still frozen into the ice, she had travelled 189 miles in a straight line (though her course was far from straight) and gained nearly three degrees of latitude - about a day and a half's sailing for the Fram given open water. Nansen was hoping that they would be forced nearer to the pole, by mid-December she had reached 82°30' north, breaking the record for a ship as set in 1876 by the Alert. In November however, Nansen announced his plan to the crew, he was to leave the ship and head out for the pole using sledge and kayak. Otto Sverdrup was the obvious companion, but he understood that he should remain with the Fram. Johansen was chosen as Nansen's companion. The plan was fraught with danger, once the men had left the ship, it would continue to drift on in the ice and they could not find it again. They would leave the following spring. The preparations were meticulous. Cans of pemmican and pate were opened and thawed, their contents re-shaped to fit the kayaks and then re-wrapped in canvas. They took copies of all the scientific data gathered by the Fram, an acknowledgment that either the ship or Nansen and Johansen might fail to return. There was a concern that the Fram might remain locked in the ice never to be released, after all any other ship that had experienced this had simply been crushed and sunk, so no-one really knew. In the event Nansen and Johansen would spend three weeks trying to get to the pole (they didn't succeed) and then another fourteen months trying to get back to safety. The Fram would drift two thirds of the distance that they covered towards the pole so arduously on foot. The Fram continued to drift and would do so for another year and a half, before Sverdrup blasted the ship clear of the ice that would hold her for nearly 3 years. She emerged from the pack ice, as Nansen had predicted, near Spitsbergen, her furthest north 86°14'. Nansen, Johansen and the Fram were re-united and returned to Norway to a hero's welcome. Nansen was feted wherever he went and honoured with gold medals from numerous geographical societies. His Arctic adventure (the second epic journey he had taken part in, the first was a crossing of Greenland) took its toll physically and mentally on Nansen and he was never to undertake such a journey again. 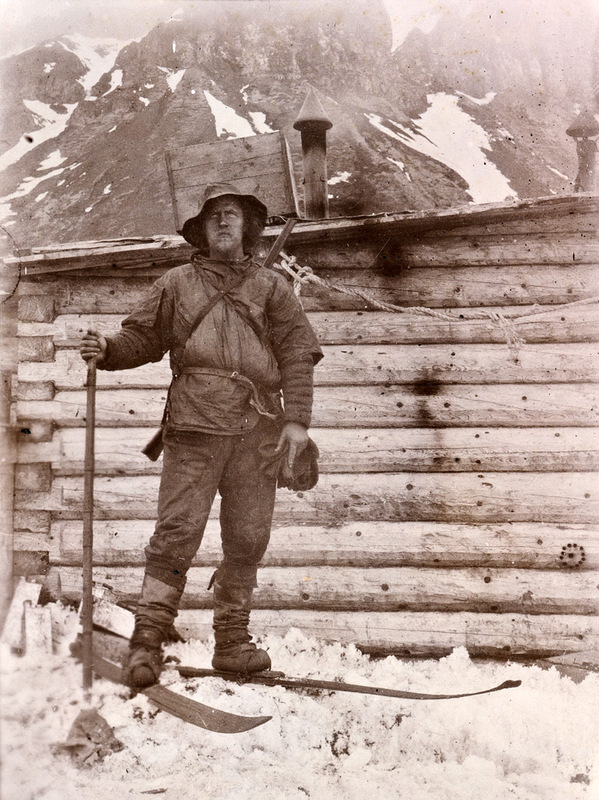 Sverdrup however had not lost his taste for adventure and Johansen would go to Antarctica as one of Amundsen's party in 1912. Nansen is generally regarded as being one of the greatest polar explorers, matched only perhaps by Shackleton. Today Norwegian mountaineers, when conditions are at their bleakest and they sport a completely frost rimed beard and moustache are said to have "the full Nansen". Lightweight flexible wooden sledges derived from those of native arctic peoples and adapted for expeditionary use by Nansen are still in use today for lightweight travelling in the Arctic and Antarctic. They are made of flexible willow wood and have no nails or screws in their construction (though there are a few bolts) being held together mainly by lashings of leather with toggles, they are called of course "Nansen Sledges"
Otto Sverdrup during his lifetime (1872 - 1928) was as famous an explorer as Nansen and Amundsen, though since then, he has been overshadowed by his compatriots. Sverdrup had previously crossed the Greenland icefield with Nansen in 1888, and like Nansen, this journey had made his name in polar exploration circles. 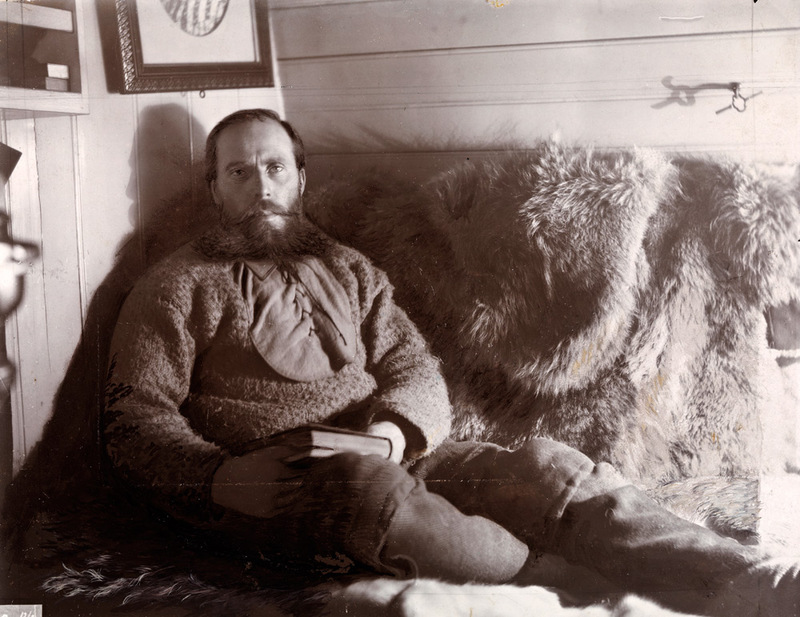 He had been the commander of the Fram when Nansen and Johansen had left to strike out for the North Pole in 1895 staying with the ship until she was released at last (with help of some explosives) from the pack and returned to Norway with her. The expedition was financed by Nansen's chief patron's Axel Heiberg and the Ringnes bothers, wealthy brewers. They had originally asked Nansen to lead the expedition, but by now Nansen felt he had had sufficient of Arctic exploration and the hardships involved and suggested that the offer to lead was made to Sverdrup. He was fortunate in that he was allowed a free hand in where to explore and so chose the unknown coast of Northern Greenland. He was also at liberty to change his objectives should it become prudent or advantageous to do so. On the 24th of June 1898, the Fram reconditioned by her builders set off on her second expedition of polar discovery. The Fram was to sail through the passage between the west coast of Greenland and Ellesmere Island. But as was often the case, heavy ice was against the ship and she was unable to make headway as it was too thick for her. The only predictable thing about Arctic pack is it's unpredictability. One year it may be possible to sail easily for tens or hundreds of miles, while the next year in the same area, virtually no progress at all may be made. Instead of being able to reach further north, the Fram anchored for four years in various fjords around Ellesmere Island acting as a base for exploratory sledging trips into the unexplored west and north. Attempts by the ship each spring at making passage northwards were constantly halted by pack conditions. There was plenty of "white spaces" here for Sverdrup and the other sixteen crew members to profitably explore however. Though less obviously impressive than the achievements of Nansen and Amundsen in the Fram, this journey accomplished a great deal. The expedition members sledged a total of some 18,000 kilometres, 700 nights were spent under canvas and a 200,000 square kilometre island group was surveyed - greater than the combined discoveries of numerous previous expeditions. These islands known as the Sverdrup Islands were annexed for Norway, though later became part of Canada, retaining the Norwegian names they had been given. Considerable scientific measurements and findings were made during this time too which added greatly to the knowledge at the time. 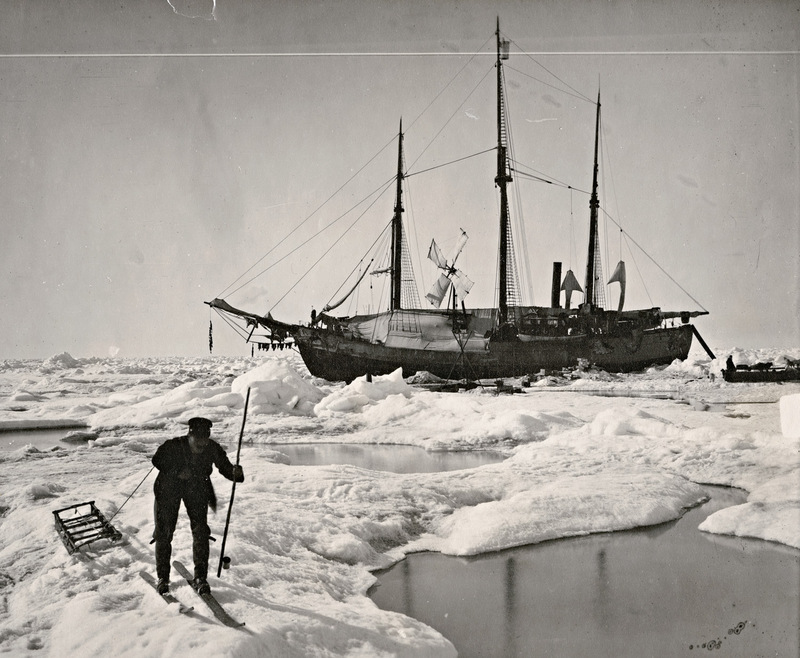 The Fram was brought out of retirement in 1910 by Roald Amundsen who wanted to emulate Nansen's attempt to drift over the pole in his 1893-1896 expedition. He wanted to put the ship in the ice once again in the Bering Sea and drift over the pole. Before the Fram even left Norway however, news arrived that the north pole had already been attained by the American Robert Peary on the 6th of April 1909. Amundsen changed his plans, but did not announce them to the crew until the Fram reached Madeira. Up to this point they were all under the impression that they would head north again for the Arctic. Also surprised by the change was Robert Scott and the British expedition that didn't find out about Amundsen's change of plan until the Norwegians had actually arrived in Antarctica. This was in an era where explorers often informed each other of their plans and would stay away from a particular area if they knew there was another party there who would be considered to have "prior claim". It was not considered "gentlemanly" to compete directly or race. Unknown regions were a sort of arena where explorers would do their best and then triumph or retreat to allow others the space for their efforts. The Fram arrived in the Ross Sea area of Antarctica in January 1911. Amundsen established a winter station which he called Framheim, the attempt on the pole was to be made in the following spring by Amundsen himself and four companions. While the polar party had left, the crew explored the Antarctic Ocean somewhat in the Fram. In particular they made an attempt to sail as far south as possible, reaching 78°41'S and in the process becoming the ship that had sailed the furthest north and also the furthest south. The Fram had in all sailed some 54,000 nautical miles or the equivalent of two and a half times around the equator.